Do you get stressed, tired and sore from long hours of sitting or standing? With days filled with deadlines and expectations, it is difficult to find time to search for the right things to integrate into your day, so we have done that for you!. Whether you are looking for a movement, meditation, nutrition article, or wellness tip, you can access it at a moment’s notice not only to feel your best, but to do your best. Want to take a healthy break but don't know what to do? 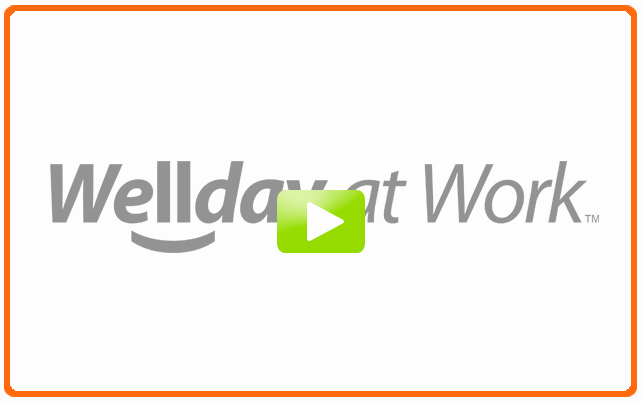 Wellday at Work™ helps to educate you with ideas to help you learn more ways to take care of yourself. Choose from movement and meditation practices derived from yoga, Spring Forest Qigong and traditional fitness. Read articles from reliable nutrition sources. Get educated. Get empowered to take care of you. Do you forget to take breaks? The Well Break Scheduler is an optional Windows based app that can schedule up to 10 breaks per day. Simple to use with big results in habit changes and self-awareness. For more detail on the reasons to try Wellday at Work™, click on the ‘Research’ tab at the top of the main screen or check out the benefits in the FAQ page. Feel fantastic by moving 1 to 2 minutes every 20 to 60 minutes! Well Break Scheduler App reminds you to take a Well Break to feel great! You set the scheduler ~ WellBreak App pops up a reminder to take your Well Break. It's like having your own personal wellness buddy at work. Used regularly, Wellday at Work™ will become habit forming and help you feel more balanced, energized, and focused throughout your day. You can leave work with energy to do all the other things you love. For more detail on Wellday at Work™ or for the System Requirements, click here. "After many years of resisting, I have found myself at a desk job, sitting for long periods of time, staring at a computer screen, and typing on a keyboard. Only after one week into the grind, I started noticing stiffness and soreness in my lower back, eye strain and headaches, and tightness in my forearms. It's so easy to get sucked into your daily work routine and before you know it, hours have gone by and you're still in the same position. Humans were not created to sit hunched over in a cubicle, our bodies are made to move. Wellday at Work has been a lifesaver, reminding me that a little movement goes a long way. Ever since I've incorporated Wellday at Work into my daily work schedule, my intial "desk-symptoms" have decreased and my overall mood has improved." 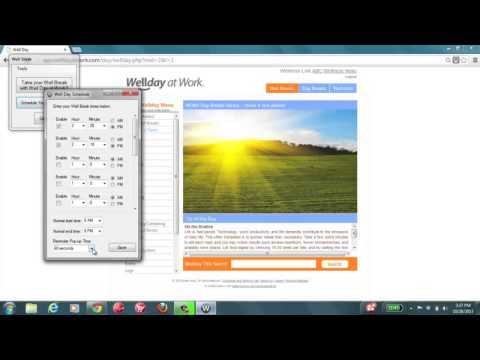 "I have been using Wellday at Work for a few months now. I love how it reminds me to take a break from sitting at my computer. When I take a break I stretch out all of those hunched over office worker muscles. I have less shoulder and back pain and fewer headaches. I also love that there are things in the program I can use when I am feelong stressed out. It has been a great addition to my work day!" "Wellday at Work is a wonderful addition to a company Wellness Plan. Information is easy to find, and the short wellness breaks are easy to follow and functional based on need and time. Building a wellness culture around a program like Wellday at Work could have wonderful benefits to both the employee and the employer." "It's easy to forget you even have to take a Well Break, and then your little reminder pops up. 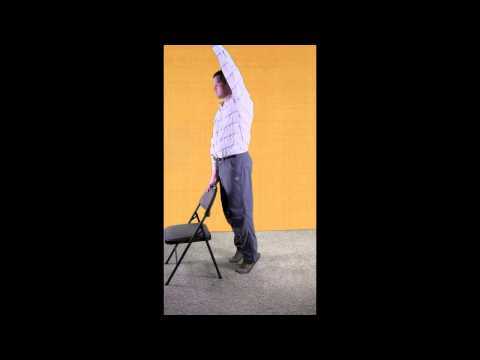 Sitting at a desk all day my neck frequently gets sore so I tried the spine-opener exercise and I absolutely love it. I can just sit her and run through this little exercise and no one even realizes that I'm taking a minute for myself. It's great! Thank you Wellday." Need more explanation of Wellday At Work? 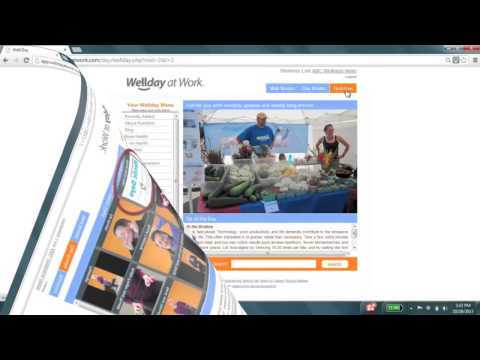 Download the Wellday At Work PDF. With consistent use, Wellday at Work™ can help reduce healthcare costs, improve productuvity, and help employees find balance. For the wellness coordinator, It is a complete turnkey package with promotion and integration tools, as well as aggregate usage statisics to help fuel and manage your wellness program. Everybody wins with Wellday from the end user to the owners. To try Wellday at Work™, simply subscribe for one month for the number of evaluators. Need some ideas to keep you moving purposefully at home or in your own business? Whether you spend your days at a desk, driving, cleaning, cooking, or playing, Wellday can help you feel your best for just $9.95/year. Wellday at Work™ is optimized to work on most current phones and tablets so you can take it with you wherever you go. Use your phone or tabet's alarm clock or wearable activity tracker to remind you to take a break, and bookmark Wellday. Have fun with the alarm ring tones for lively or peaceful break reminders!